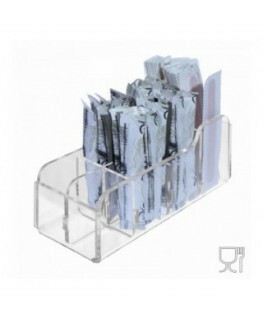 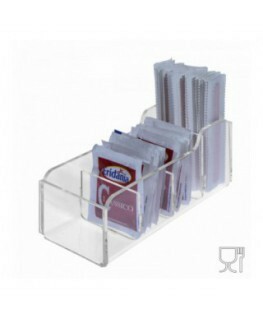 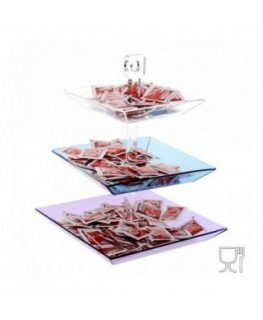 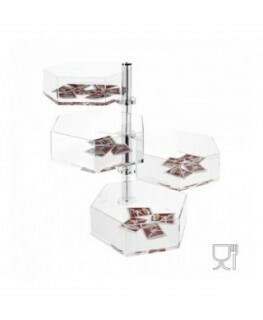 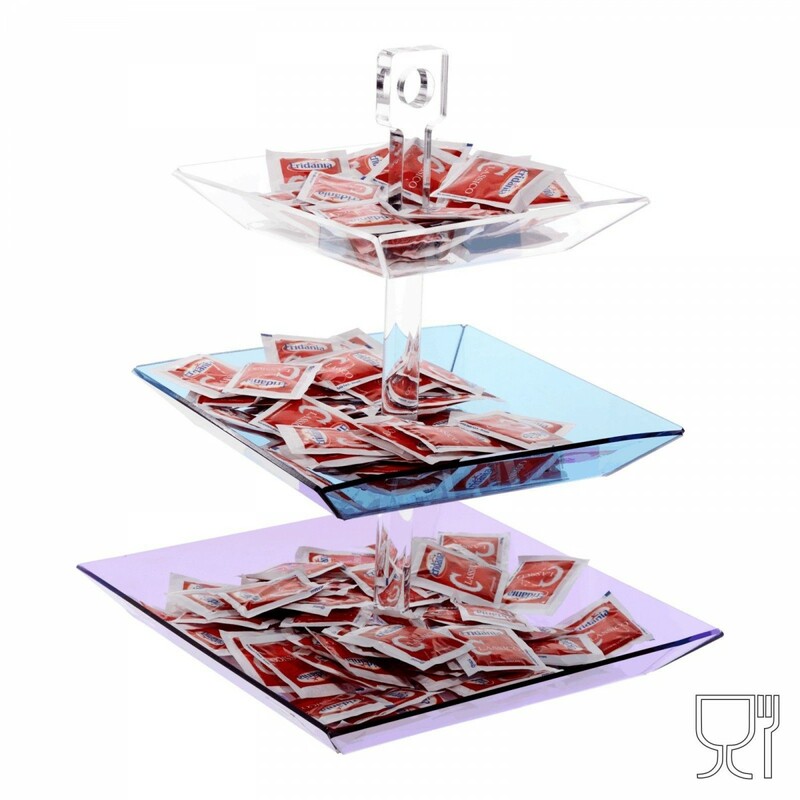 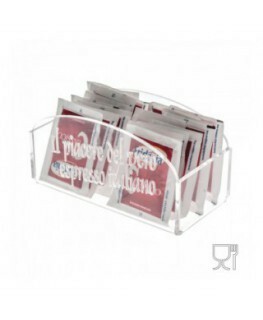 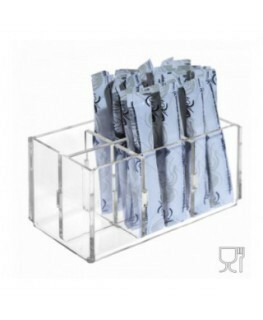 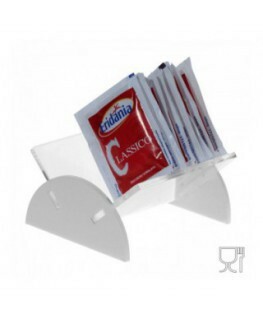 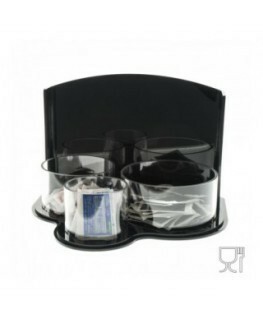 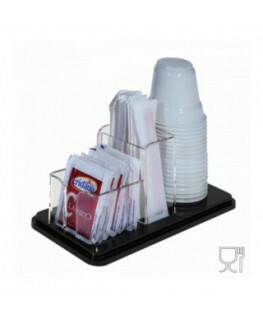 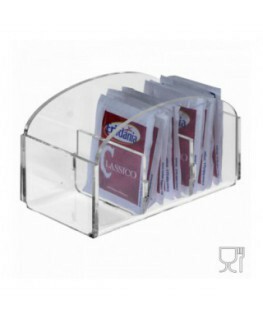 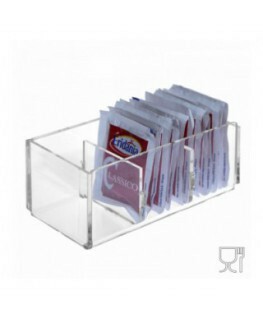 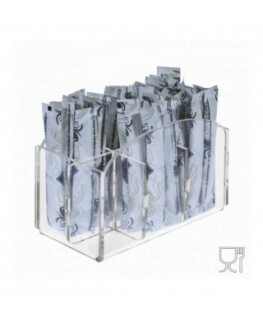 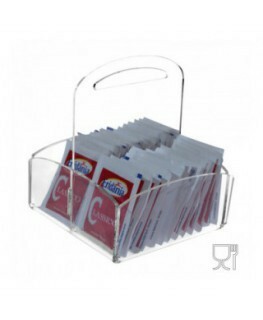 This clear acrylic candy bin and sugar sachet holder is ideal for cafés. 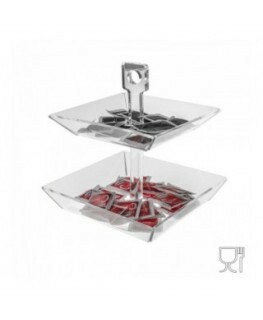 It can be coloured or transparent. 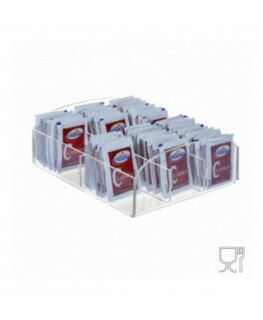 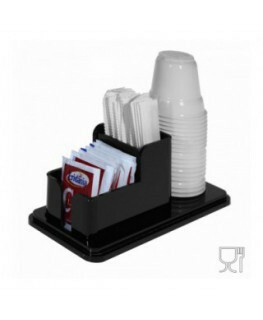 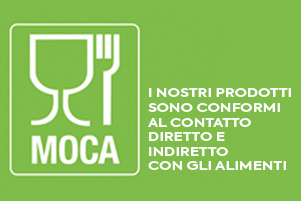 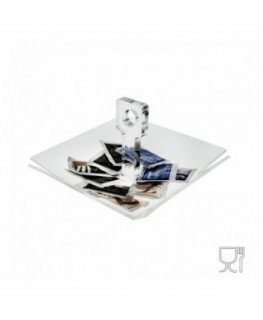 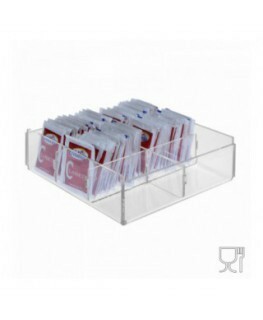 It consists of 3 shelves and can display different kinds of products.